I have become a unicorn. My metamorphosis didn’t require a magic spell or potion, or even a trip to a well-reviewed plastic surgeon to add a horn to my head. All it took was Democrats’ treatment of Brett Kavanaugh over the last few weeks to turn me into that elusive creature: a minority, immigrant woman who supports Republicans. But they would be wrong. I’ve always considered myself politically moderate: I am unapologetically pro-life, but my views on affirmative action, Black Lives Matter, and gun control made me sympathize strongly with Democratic perspectives and occasionally led to arguments with my husband and father-in-law. That sense of political homelessness was a big reason that I was never in a hurry to become an American citizen. I figured I’d do it eventually, but not having a strong connection to either party, feeling unsure of where I fit into America’s strange political landscape, meant it was low on my list of priorities. Fast-forward to 2018, and Kavanaugh’s nomination to the Supreme Court. Protests and vows to block him by any means, “using every available tool,” followed almost immediately. Anybody paying attention knew that things were about to get interesting. Unfortunately, things got less interesting than ugly and convinced me that Democrats are not who they claim to be. Only the wolves turned out to be sheep: I have seen countless Republicans defending and showing empathy for Ford on the news, giving her the benefit of the doubt on social media. 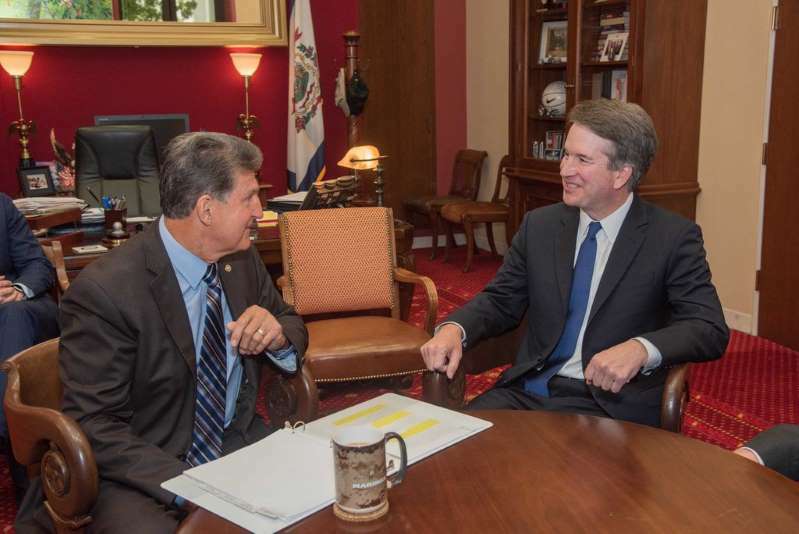 By contrast, I have seen nothing of the sort for Kavanaugh from Democrats. It’s impossible not to compare the way the process played out with Kavanaugh to what happened in 2016 with Merrick Garland, President Obama’s nominee to replace my father-in-law. In similar, though not identical, circumstances, Republicans showed much more respect and restraint. Sure, they played hardball and refused to hold hearings for Garland’s nomination, but they never sought to diminish the man. The Democrats have played a whole different and dishonorable game, one that has no rules and no winners. These events opened my eyes to the hypocrisy of the Democratic Party. It’s actually a very exclusive club that wants me as a member based solely on stereotypes of who I am supposed to be. The core values they tout do not apply to everyone, as Kavanaugh can testify, but only to a very small, very specific subset of people who tick certain boxes or support them in their political agenda. They have relished inflicting pain on Kavanaugh in large part because he is everything they hate: a straight white conservative male from a privileged background. It’s terrifying because, while that might not put me in any danger, it makes many of the best men I know and love prime targets. That is why I am energized, for the first time, to become a citizen and empower myself with a vote. It will be a vote against the bullies on the left who broke a good man for no reason other than political differences. So excuse me while I fill out some forms and tick some boxes—but not the ones you might expect.